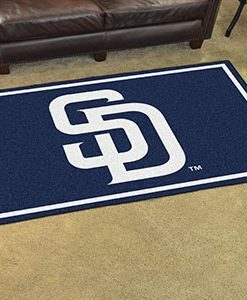 The evolution of these products has resulted in the most unique and one-of-a-kind merchandise available in the market and we are confident that you will proudly display your TeamTable. Each patent pending product is hand-crafted and is a result of quality design and structural testing. 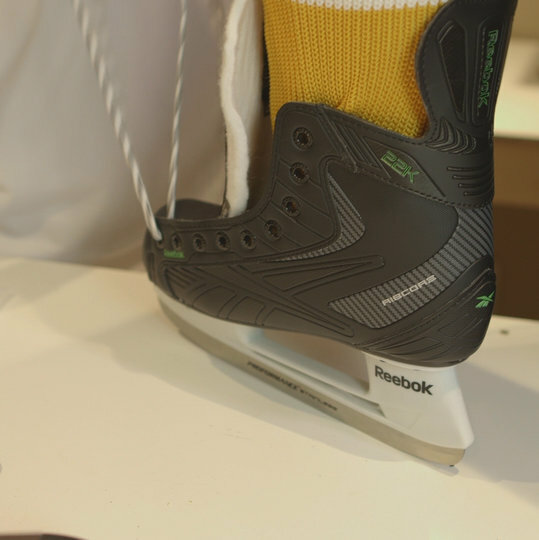 We incorporate real sports materials in our products with many design options available to suit your desires. See our product descriptions for the quality features of our products. 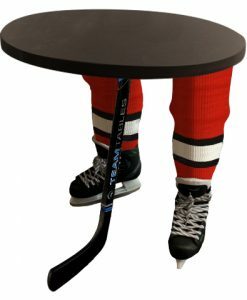 We only use the finest materials and manufacturing process to ensure that every Team Table is designed to be the benchmark for every sports enthusiast! 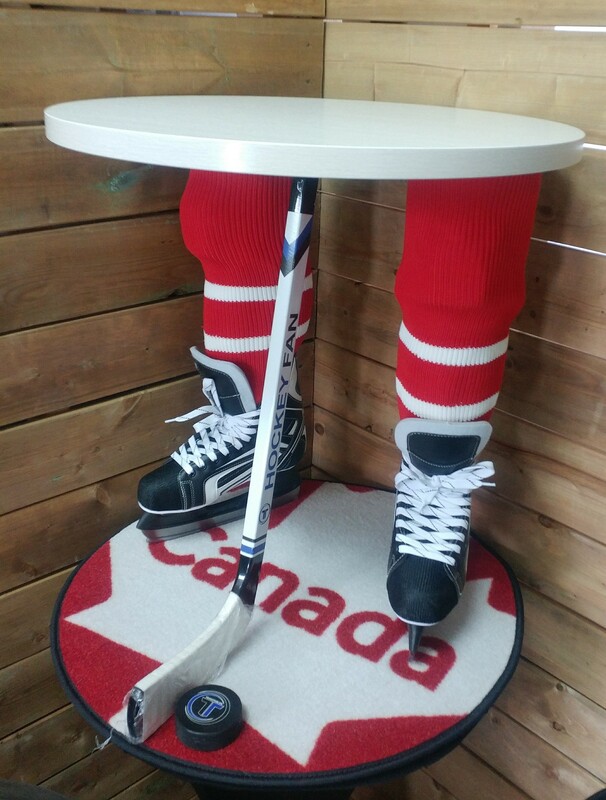 In order to create and design the structure of a Team Table, we took the classic coffee and bar table and rethought its entire base so we could develop the coolest sports table in Canada! We offer a variety of over 30 different teams across international and NHL Teams! 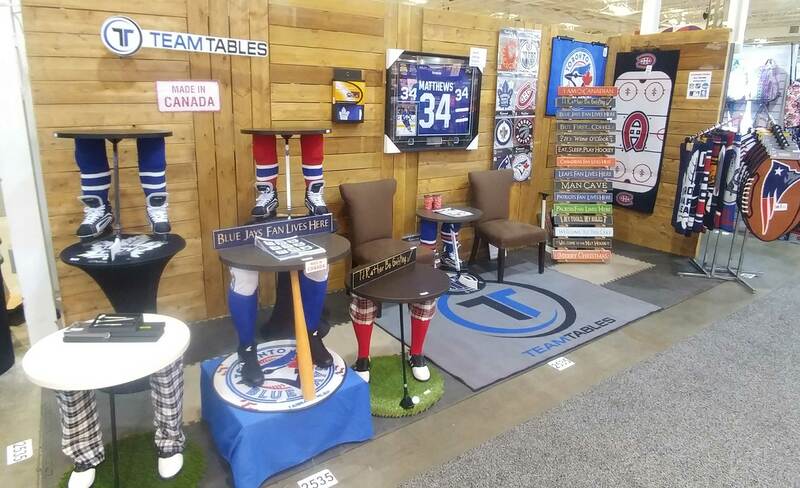 If you're a golf fan we offer a large variety of golf Team Tables! Here are Some of Our Cool Media ! Check Them Out ! Check Out Our Promotional Video !